Australia’s monthly unemployment figures - the most expensive the Bureau produces outside of the census - are about to become cheaper, but slightly less reliable. The head of the Bureau’s labour and demography branch, Paul Sullivan said that recent improvements in the way the data was interpreted meant that it should be possible to cut the sample size without compromising the accuracy of the employment estimate. But the unemployment estimate – a smaller, harder to obtain figure – should become “slightly” less accurate. Mr Sullivan said the smaller sample should save the Bureau around $100,000 each year, some of which it would need because the booming labour market itself had made the survey more expensive. The Bureau tries to collect data from each household it surveys for eight consecutive months. But with fewer people at home during the day that is becoming more expensive, requiring more repeat phone calls and return visits. Even at the reduced sample size of 55,500, the Bureau’s labour force survey will remain the biggest apart from the census. Each political opinion poll quoted during the election campaign surveyed no more than around 2,000 people. The Bureau has been making its estimates more accurate in recent months by under-weighting the answers given by people who are responding for the first time. These answers are thought to be less reliable and they don’t reflect changes in employment status in the same way that the subsequent answers do. Under the new procedures the Bureau will much more intensively sample residents of the Northern Territory who were previously only as intensively sampled as residents of the ACT. After the changes one in every 54 Northern Territorians will be asked about their employment status, up from around one in every 100 as in the ACT - greatly improving the accuracy of the Northern Territory’s figures. Paul Sullivan said that the increased inaccuracy of the Australia’s unemployment total would not usually be noticeable by the time it had been turned into an unemployment rate. The extra uncertainty should account for less than one tenth of one percentage point, meaning that what would have been a national unemployment rate of 4.3 per cent would most probably remain an unemployment rate of 4.3 per cent. This Turnbull fellow, what's he like? From May until November 1999 I spent almost every day with the man who now wants to lead the Liberal Party, Malcolm Turnbull. I was Malcolm’s National Campaign Director in the 1999 Republic Referendum. So what sort of leader is he? Has he got tactical nous – the sort of nose for Opposition politics that requires positive policy development alongside plain old bloody minded negativity? And since that time he has mellowed in my view. He is a little more patient these days with his critics, and with his opponents. Mind you, the monarchist leadership group in the Referendum of David Flint and Kerry Jones would have tested the patience of Job, given their capacity for disinformation and scare tactics. The one thing that stands out in my memory of the stint I had with Turnbull all those years ago was his indefatigability. This is a man who sends you emails at 3am. He is someone who constantly churns out ideas, strategies and missives to his staff. Turnbull works and works and works and travels, travels and travels for the cause. It does not matter what hour of the day. Just assume that Malcolm will be thinking and working. Of course he does sleep. But he struck me as being in the mould of Margaret Thatcher – requiring little sleep in order to function effectively. There is in Turnbull also an endearing and genuine sense of egalitarianism that many in the Liberal Party lack. He is an inveterate user of public transport. Instead of taking a cab back to his office up the other end of town, he and I would often jump on a bus at the corner of Park and Elizabeth streets in Sydney, and hop off up at his Goldman Sachs office at the Bent/Phillip street corner. Turnbull engages people in a surprisingly natural way. I saw this at close hand during the fraught months leading up to the November 1999 Referendum. You could take Malcolm to a pub or a shopping centre, and know he wouldn’t look or feel awkward. I have described Turnbull elsewhere as being the "brightest bloke" in the Australian Parliament. He is intellectually brilliant, no two ways about it. (I saw him write a speech in about 30 minutes on his way from Sydney to Brisbane during the campaign – and it was a cracker). He grasps concepts easily and runs with them. This of course means that suffering fools gladly is inherently difficult for him. Having said that, I was often surprised at Turnbull’s patience in dealing with the myriad of egos and strong personality types that dominated the upper echelons of the Republic campaign. Turnbull would often vent his spleen privately about X or Y, but publicly the only sound you would hear would be the grinding of the Turnbull teeth. The question that many ask about Turnbull – and it arose again in the election campaign when he made sure the world knew he wanted Australia to ratify Kyoto but Howard vetoed the idea – is whether or not he is a team player. Is he too much of a lone ranger to lead a beleaguered Liberal Party, out of government everywhere for the first time in its 60 odd year history? The capacity to win hearts and minds and to capture the confidence of his fellow party members is Turnbull’s biggest challenge. Some will argue that the Republic Referendum failed because he could not do that, and that he was just a little too brilliant for his own good. Some of the key advisers to the Republic campaign felt Turnbull wouldn’t take advice – that he wasn’t a listener. I don’t put myself in that camp. Sure there were times when the collective wisdom of luminaries like now Liberal MP Andrew Robb, former Hawke strategist Peter Baron, pollster Rod Cameron, Neville Wran and the advertising gurus at John Singleton’s agency appeared to be ignored, or at least only partially heard by Turnbull during the campaign. But then, can anyone name a political leader of any note around the world who sometimes decides to back his own instinct against that of his advisers. One thing is certain. If the Liberal Party goes for Turnbull it will be backing someone who is very different from John Howard, Peter Costello, or Brendan Nelson. It will be a roller coaster ride with Malcolm as leader, but then the Liberals have nothing to lose and everything to gain by throwing caution to the wind. Mr Rudd, why did you drive yourself to work this morning? Don’t you have people to drive you around? RUDD: Hey, I can drive. It’s a free country. Since Saturday it still is. Why did I drive to work? I wanted to take Marcus, my son, to school. So, I drove him to school. I dropped Therese at the office and then came in here. JOURNALIST: Do you think that your life is going change dramatically now? RUDD: No. I’m still Kevin, still from Queensland. JOURNALIST: Still here to help? RUDD: Still here to help. No, I wanted to take Marcus to school. I was trying to do it yesterday and it didn’t quite work out. Have you ever tried getting a 14 year old out of bed in the morning on time? JOURNALIST: How did his school friends respond to the concept of the Prime Minister-elect rolling up at school? RUDD: I, just as most of the other parents, let him out of the car door, gave him a kiss on the head and off he went. Kevin Rudd was never an economic conservative. Not until he took on the Labor leadership in December. A search of parliamentary Hansard and newspaper files reveals no mention of the term in Australia, by anyone, until then. Overseas it was a label worn by Stephen Harper, Canada’s Prime Minister and the leader of its Conservative Party. At a photo opportunity at a Brisbane school yesterday he spelt out his first three priorities - installing a computer on the desk of every secondary student in years 9 to 12; ratifying Kyoto and introducing Labor’s industrial relations changes. They are straightforward moves and none of them are economically risky. As it happens a US study of 9,500 students in years 1, 4 and 6 has found that they do little better with computers than without. In Singapore a study of 657 university students found that that in aggregate those using on-line learning tools do no better than those that do not. The on-line tools helped the students who were already ahead but were “more of an added burden” to those falling behind. Ratifying Kyoto gets Australia a seat at the table for the world’s most important international negotiation and costs us nothing. The industrial relations changes outlined in the campaign won’t damage the economy at all, despite the horror scenarios peddled by the Coalition. Business appears not to be worried (the Australian share market surged two per cent yesterday) and the economic studies forecasting doom and gloom look sillier by the week. It is likely that Kevin Rudd’s weekend briefing from Treasury officials in Brisbane didn’t deal with any of these top three priorities. Instead it will have told him that the budget forecasts around which both sides built their campaigns are obsolete. Shortly after every election is called the Treasury releases a sort-of guidebook for campaign promises. Its proper title is the Pre-election Economic and Fiscal Outlook. The idea is to give both sides the latest official information with which to work. This one said that inflation was on track to remain steady at around 2.75 per cent for the foreseeable future. Importantly for the campaign the forecast was made after budgeting for the Howard government’s two biggest promises: $34 billion of tax cuts and $4 billion in assorted payments to pensioners, carers and retirees. The implicit message – delivered to each side on Monday October 22 – was that as far as the Treasury could tell even big election bribes wouldn’t push inflation into the Reserve Bank’s danger zone. Two days later on Wednesday October 24 inflation figures came out that rendered those forecasts obsolete. The Reserve Bank wacked up interest rates at its next opportunity and then released much more alarming updated forecasts in its regularly-scheduled Quarterly Statement released just hours before John Howard delivered his campaign speech. The Bank’s new forecasts show inflation climbing beyond the top of its target band to 3.25 per cent and staying there for at least a year. Even by the end of the year after that, more than half way through the new government’s term, the Bank says it can’t be sure that inflation will be comfortably back within its comfort zone. The forecasts suggest that inflation could spiral out of control. Even with things as they are it is heading up and will require at least one more hike in interest rates to bring down. Add in tens of billions of dollars in tax cuts and associated promises and still more interest rate hikes look certain. A true economic conservative presented with such a scenario would ditch the tax cuts. Completely ditching them isn’t politically possible. But right now the consequences of delivering the tax cuts as promised look worse. Does Kevin Rudd really want to be remembered as the Prime Minister who brought on three or more interest rate hikes during his first term and pushed mortgage rates up towards 10 per cent? If he doesn’t, he might have to consider adjusting or staggering the delivery of the promise. He might be being told that in Brisbane right now. Breaking tax promises in the light of new information has an impressive history. Dr Barry Hughes, a former advisor to Paul Keating makes the point that John Howard himself did it. Days into his new job as Treasurer in the Fraser government in 1977 John Howard let his name to a campaign that promised a “fistful of dollars”. He failed to follow through after the election declaring the cuts unwise. Bob Hawke cancelled promised tax cuts on gaining office in 1983 and Peter Costello failed to deliver on a 1996 promise that if he became Treasurer he wouldn’t never increase taxes. He introduced several new taxes which labeled “levies” instead. Paul Keating did it in perhaps the most honorable and economically responsible way in 1993, replacing his promised “L-A-W law” tax cuts with non-inflationary superannuation contributions. Question time has lost its spark. No-one in parliament could hold a candle to Peter Costello as an entertainer. All the talk about him “throwing the switch to vaudeville” if ever he became leader ignored the fact that vaudeville was what he did. His daily routines whenever the parliament was sitting made watching a thrill. Without Peter Costello making people laugh and taking them along with him for the kill the new Opposition will lack oomph. Whoever else is elected leader may well be good, but in terms of parliamentary pizzazz will be no Peter Costello. Saul Eslake is the chief economist of the ANZ bank. He hasn’t felt free to tell this story until today. He made it known to me and a number of other people some time ago on the condition that that nothing was printed until either he or Peter Costello was no longer in his job. As Eslake put it to me in an email: “much as I would love to see this brought to the attention of a wider audience, I obviously can't allow that to happen in circumstances where Costello could inflict damage on the ANZ”. Outwardly relations between the ANZ and Peter Costello have been good. His wife Tanya Costello is a senior manager with ANZ Philanthropy Partners. But beneath the surface things have been tense. In February 2002 Eslake was asked at a chartered accountants conference whether the Howard government had ever engaged in creative accounting. He replied that it had: in its accounting treatment of the GST; in its timing of Reserve Bank dividend payments; and in using its sell-off of Canberra buildings to appear to improve its underlying cash surplus when it has really improved little. But he stressed that what it had done had been “no worse than any previous government". Saul Eslake says Peter Costello phoned the ANZ head John McFarlane and threatened to take what McFarlane subsequently described as “regulatory action which ANZ would not like” if Eslake said that sort of thing again. Eslake says a member of the Treasurer’s staff also sent a copy of a news report about Eslake to the chairman of the ANZ Charles Goode with an offending quote circled. McFarlane asked Eslake to ring Costello “to square things off” but Costello wouldn't take the call. Eslake has told me that “since then there have been other examples where Costello's office has complained to McFarlane's office, or to our media relations people, about things which I have said in terms which have conveyed an implicit threat of unspecified retaliation”. I know of another chief economist who has described similar behaviour on the Treasurer’s part. He has told me that he was asked to leave his job as a result. I put Eslake’s claims to the Treasurer’s office last night but received no response. In his negotiations with political stakeholders the man who was able to captivate parliament proved similarly unsubtle. Richard Denniss is these days the chief of staff for the Greens’ leader Bob Brown. In 2002 he was the chief of staff to the then Democrats’ leader Natasha Stott Despoja. In Mr Costello’s budget speech that year he had announced that pensioners and other concession card holders would have to pay more for their medicines. Their co-payment would climb from $3.60 to $4.60 per prescription. The Democrats said they would oppose the measure in the Senate. Some weeks later Senator Stott Despoja and Dr Denniss were summoned to the Peter Costello’s office. Denniss says Costello took them through page after page of laminated graphs, talking at them for the best part of an hour. The Treasurer seemed surprised to discover that they hadn’t been won over. “At one point Costello said: Natasha, you don’t appear to understand the numbers. To which she replied: I do understand the numbers Peter, you don’t have them in the Senate and you won’t be passing this bill”. A few days later the two were summoned to the Prime Minister’s office. Denniss says he had expected Mr Howard to be even worse. Instead they found Howard “effusive in apologising for being late, come in sit down, can I get you a cup of tea – lots of chit chat, lots of actual conversation”. The Prime Minister said “I know you spoke to the Treasurer last week and I’m sure he showed you all his graphs” and I understand your position: “we are trying to drive up the price of medicine for sick people, of course the Democrats are going to oppose it”. As a student Peter Costello studied law rather than economics. He mastered his portfolio in the impressive way that lawyers master briefs. Observing him during several budgets I have never seen him excited about economics. But I have seen his eyes light up at the mention of commercial law. As Australia’s longest-serving Treasurer and the Howard government’s best parliamentary performer Peter Costello had many of the qualities needed to be a great Treasurer. But perhaps not all. Visit www.stickK.com right now and all you will see is the intriguing invitation to “put a contract on yourself”. But after the site goes live in December you’ll be able to hand over $1,000, perhaps $10,000, safe in the knowledge that you won’t get it back unless you lose weight. It’s the brainchild of Yale University’s Professor Ian Ayres, who’s both a lawyer and an economist. The economist in him knows that financial incentives work. The lawyer in him knows that they won’t work unless they are watertight. 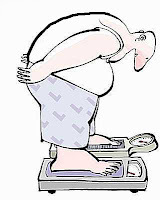 It is not enough to say to your spouse or friend, “unless I lose five kilos you get to keep the $1,000”. Your friend might take pity on you and hand you back the money anyway. Ayres has tested the system. A few months back he contracted to lose a pound a week, agreeing to permanently part with $500 for each week he failed. Now that his weight has reached the target he had to keep it there each week or face a penalty. He reckons so far he has avoided $21,000 in penalty payments. Would such a system of voluntary coercion work? Health economist Eric Finkelstein has tried it with incentives. He found 200 overweight volunteers in North Carolina and paid some $7, some $14, and some nothing for each percentage point of weight they lost. Three months later those who received nothing had lost 2 pounds, those who had been paid $7 had lost 3 pounds, and those paid $14 had lost 5 pounds. He’s been working with Tangerine, a company employed by US corporations to bribe their employees to better health as a way of cutting their healthcare bills. www.stickK.com will use sticks rather than carrots. It won’t get to keep the money that its customers sign away. It’ll send it to charity. If its customers are particularly it’ll send it to ones they don’t like. It is not yet clear how it will monitor weight loss. Tangerine does it by workplace weigh-ins. StickK might recruit its customers to agree to keep tabs on each other. Economists are very interested. They going to get valuable data on the sort of contracts that work… so long as they suspend their disbelief. To classically trained economists the whole idea of voluntary coercion is laughable. People are meant to be rational, never needing to bribe or threaten themselves. If no-one signs up to StickK they’ll be proved right. I think they’ll be proved wrong. Didn't work. In the US they call it jury nullification. The last desperate reelection strategy of the Howard government was to lose the vote but to somehow win enough seats. It can work, but rarely. It worked for the Hawke Labor government in 1987 and for John Howard himself in 1998. But to defy a national swing by overpowering the voters in the right number of specific seats with money, advertising and promises to the point where they can’t say no requires extraordinary attention to detail and no room for bad luck. The government set aside $45 million to take over the running of a Tasmanian state government hospital in the marginal seat of Braddon and then couldn’t make the deal work by the deadline it had set because the hospital’s staff wouldn’t work under WorkChoices. It was forced to guarantee that they wouldn’t and lost the seat anyway. In Lindsay in Western Sydney the husband of the retiring Liberal member and the husband of the replacement Liberal candidate were caught out engaging in dirty tricks and the party lost the seat anyway. But even without the bad luck the strategy was never likely to work this time. The veteran political analyst Malcolm Mackerras has a phrase for the phenomenon: “when the swing is on, it’s on”. The swing to Labor of almost 6 per cent – the third biggest since the second world war – was impossible to fight seat by seat. With targeting and luck the Coalition was able to take one, possibly two seats from Labor, both of them in Western Australia. It was able to win a swing to Malcolm Turnbull in Wentworth, a seat that it should have lost given the nationwide swing. But these successes were more than offset by Labor wins in seats Labor had no hope of getting had the swing been uniform – most of them in Queensland. That’s how it always happens according to Mackerras. The swing is never uniform. There are surprises on either side. Right at the start of this year in a special article for the Canberra Times Mackerras predicted a Ruddslide and was the first to predict that the Prime Minister would lose his own seat. In the final week of the campaign he said Labor would get 89 seats. It looks to have got 86. But in the tally room last night he said he could never have been precise about which seats. On the national swing it should have won Boothby in South Australia. But the Labor Party made the mistake of picking a footballer’s wife as its candidate and was punished in a state where it otherwise did well. The surprises tell us much about Australia’s new political geography. Labor has excelled in Queensland, the home of Kevin Rudd and a big beneficiary of the mining boom. But unlike in Western Australia its mining workers are mainly employed under enterprise agreements. They’ve done well without WorkChoices and don’t associate it with their prosperity. Labor has also done well in NSW and South Australia, two of the states least enjoying the benefits of Australia’s mining-fuelled wave of prosperity, and most likely to feel that times are tough. In Western Australia, the epicentre of the boom, the Howard Government’s Australian Workplace Agreements are widespread and associated with prosperity. It’s the state in which Labor has done worst. It’s easy in hindsight to talk about the common sense of the Australian people, but often we do seem to get it right. While moving against John Howard in his own seat, we ensured the survival of his two potential successors, swinging votes towards Malcolm Turnbull and Peter Costello. Here, or here. A pox on both their houses! Labor has made an impressive 171 promises during the election campaign, 54 of them being promises to save money. It says their net cost will be a modest $5 billion compared to the Coalition’s $10.3 billion. Labor’s promises have been audited by a three-person committee made up of a former senior Treasury official Greg Smith, a former senior partner with KPMG John Brown and the editor of the Accounting, Auditing and Accountability Journal Professor James Guthrie. The party has had less luck with the Department of Finance. It reported late yesterday that it had received 36 of labor’s policies too late to cost. One of Labor’s promises, its $4.7 billion broadband network is claimed by Labor to have no budgetary cost because it will be funded from the future fund. Of the polices that the department of Finance did cost, it said the promised tax breaks for foreigners who used Australian firms for funds management would cost $505 million instead of the $105 million claimed by the Labor party. Late yesterday the Treasurer Peter Costello described the difference as a huge hole, providing “400 million reasons why labor can't be trusted”. But Finance costed some other Labor promises more generously than did Labor itself. The Coalition concedes that its spending bill is somewhat higher than Labor’s but says it is still on track to achieve budget surpluses of greater than 1 per cent of GDP in each of the next four years. Labor’s analysis suggests that the Coalition’s surpluses would in fact slip marginally below 1 per cent in the financial year beginning in 2010 - falling to 0.96 per cent. Labor’s Wayne Swan described the finding as the Coalition’s “$1.1 billion black hole”. And he said the Coalition had “relied on dubious accounting tricks to give the appearance of meeting its surplus target”, such delaying $398 million of defence spending due in 2010. The costings suggest that in broad terms there is very little difference in the bills being run up by Labor and the Coalition. Both are targeting a budget surplus of around 1 per cent of GDP in each of the next four years. This campaign has been the most expensive ever, with each side promising more than $50 billion, including tax cuts. In the 2004 each side stopped at $13.5 billion. On the morning after the Coalition’s last defeat in 1983 the conservative commentator Frank Knopfelmacher appeared on ABC radio and was asked why he thought they had lost. He replied with anger: “They had nothing to say and they kept saying it”. The same can’t be said about the Coalition this time. It has had a message, but the wrong one. But the sad truth is that neither goal is something that Australians currently want. And it should have been obvious. Advertising works best when it hooks into a perceived need. A promise of water works well during a drought. A promise of jobs works well during a recession. But a promise of even more water when people already have more than they can handle is unlikely to work at all. Right now almost anyone who wants a job has one and knows that there are more going begging. In the ACT (Australia’s tightest labour market) there are actually more jobs vacant than there are people available to fill them. A promise of even more jobs adds nothing. It’s the same with John Howard’s broader (and uncomfortably abstract) concept of “growth”. You won’t find any politician acknowledging it before election day but Mr Howard was broadly right when he told parliament in March this year that working families had never been better off. A promise of even faster economic growth, an even greater boost in spending power, isn’t particularly compelling when spending power has climbed an extraordinary 25 per cent since the start of the decade. Particularly not when the Reserve Bank has mentioned “growth” in the same breath as “inflationary pressures” on every one of the last ten occasions on which it has pushed up interest rates. It is possible the see our lack of interest in the Prime Minister’s primary selling proposition as a classic “insiders” versus “outsiders” divide: The insiders who have jobs aren’t particularly keen on measures such as accelerated economic growth and WorkChoices that might make life uncomfortable for them while reducing unemployment further. The outsiders who want jobs would welcome the growth and welcome WorkChoices. Or so the argument goes. But the other truth that no politician will acknowledge right now is that there are very few outsiders left. The head of the Treasury Ken Henry made the point in a leaked address to his staff in March. By and large what is good for those of us with jobs is good for the nation. Electorally and economically the Coalition chose the wrong selling points in this election, and when they had installed the backdrop and started talking they couldn’t stop. ...might that render our all-powerful Reserve Bank impotent? Most economists like myself have come to believe that monetary policy now carries so much punch – because a reduction in interest rates has a compound impact on borrowing costs, on exchange rates and on asset prices – that it is unthinkable that we will have a serious recession ever again. That is, the RBA will always come to the rescue. “It used to be enough for a central bank to lean against the wind. That means lower interest rates when unemployment is too high….. Today central bankers cannot know whether current interest rates are too high or too low. The safest bond interest rates are indeed low (he means relative to inflation). But financial panic (engendered by the mortgage lending crisis) means that even a mammoth corporation like General Electric would find it expensive now to finance a loan needed to build a new and efficient factory”. If he is right, the present crisis could easily develop into a serious US recession. Samuelson reminds us that, while China, India, Russia etc. may partly make up for any US recession, US still accounts for 20 per cent of global output. And financial market contagion across the world can be deadly. His policy prescription is radical. First, he wants quasi-public agencies, like Fannie May and Freddie Mac, to fill the vacuum in the lending market and secondly (perhaps at a later date?) he wants prudential regulations tightened to discourage predatory lending. Samuelson obviously does not believe that central banks can solve the problem on their own. I have no problems with his prescriptions as an ultimate resort but I am not so sure he is right about the impotence of the central bank. Still, it makes one think! Back in Australia, the implications are twofold. Firstly, it is possible to argue that the RBA was a little rash to raise interest rates earlier this month. A ‘wait and see’ policy might have been better. Secondly, fiscal policy may need to play a bigger role in preventing a recession here. If monetary policy does prove less effective, let’s hope a Howard or Rudd government will not be afraid to go into deficit financing (net borrowing or drawing on Future Fund) to pay for badly needed social and economic infrastructure. Unfortunately, although both Howard and Rudd say that they will run surpluses “over the business cycle”, they seem at times to be promising cash surpluses come what may. Heaven help us if that proves correct! * On the fake election leaflet: "There are myriad criticisms that can be made of the Australian Labor part6y, but I do not believe the Labor party has any sympathy for the Bali bombers." * If a Liberal candidate's husband distributed the leaflet there is no need to sack her. "Because her husband may have done a stupid thing there is no reason that should be visited on her. I would have thought that was a very old-fashioned view of women in Australia. * "I have dissociated myself from it. I think it's stupid, it's offensive, it's untrue. I mean for heavens sake get a sense of proportion." * "I do not think that what has happened in Lindsay is evidence of any underlying racism in the Liberal party." * "We I say we need to keep reforming I am speaking generically. On industrial relations I think we have got the balance right." * "I don't believe Rudd's talk about a meat axe to the public service. The role of the public sector unions would be too great. If he is elected on Saturday you can be sure that is one promise that he will never carry out. 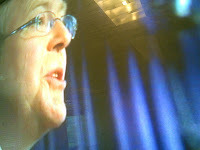 * I have been in a lot of elections and this is not an angry campaign, and by the way it is not a dirty one either. I don't think people do want to change the fundamental direction, whereas in 1996 a lot of people were cranky with the lopsided political correctness. * "I think when it comes to the Murray Darling plan we have had the most disgraceful obstruction from the government of Victoria." The Federation has got to make way for the nation when it comes to these issues. * "I have seen a transition to a new leader work on the other side of the world in a country with a very similar political system to us, from Mr Blair to Mr Brown, and it worked. We are open about this, we are not concealing anything, we don't have any Kirribilli House pact. That's it - perhaps John Howard's last National Press Club address. Voting in 42 hours. So what is it with the Liberal party and fake leaflets? 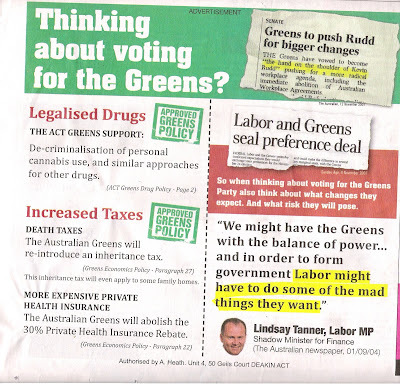 And this is the leaflet circulating in the ACT falsely claiming that the Greens support legalised drugs, and authorised by the director of the ACT Liberal Party - not that you would know that. Expect to hear about a "transition from a welfare state to an opportunity society" when John Howard fronts the cameras at the National Press Club today. He has coined the phrase just recently and used it in his policy launch, in an address to the Institute of Public Affairs, and in a campaign interview with Laurie Oakes. Googling by Labor suggests that another Prime Minister came up with the idea first. Britain’s Tony Blair (a Labour man) three years used John Howard’s formulation saying he wanted to move the United Kingdom “from the traditional welfare state to an opportunity society that helps families with the daily problems they face”. Both leaders seem to share the same idea of an “opportunity society”. Figures released yesterday by the Australian Institute of Health and Welfare show that welfare spending by all levels of Australian government has ballooned 57 per cent in seven years to a record $90 billion. That’s faster growth than the consumer price index, which climbed 22 per cent in seven years, and even faster than Australia’s soaring gross domestic product, which jumped 50 per cent. It is all the odder when it is borne in mind that welfare payments normally shrink as an economy boomed. Fewer people need them. And the Institute’s figures don’t include a number of the Howard Government’s newer welfare measures directed mainly to better-off Australians such as the $3 billion uncapped private health insurance rebate and billion tax holiday for superannuation payouts costed at $2.3 billion a year and set to grow. The Prime Minister himself made it clear in his policy launch that he doesn’t object to his sort of welfare. John Howard’s vision of an opportunity society is about giving a leg up to people who are upwardly mobile. When it comes to education he says the Coalition parties are “unashamedly the parties of parental school choice. The blossoming of low-fee independent schools in the last decade, which we have supported, has given many families for the first time real choice over the school to which they send their child”. In health he supports “a tax break for private health insurance”. It's welfare, for people who want to get ahead. Labor is to slash the budget of nearly every public service by 2 per cent if elected as part of a one-off measure designed to help it save $10 billion and fund its spending promises. The 2 per cent increase in the government’s so-called efficiency dividend announced late yesterday would take it from 1.25 per cent to 3.25 per cent for one year only. Labor’s Finance spokesman Lindsay Tanner told the Canberra Times he expected the increased $1.5 billion dividend to be affordable, with most of it coming from reduced spending on advertising, consultancies, recruitment, market research and media monitoring in accordance with Labor’s new priorities. However he could rule out redundancies. “Current vacancy rates, turnover and attrition” would help but when asked whether he could guarantee that no public redundancies would result Mr Tanner replied “we say we believe there will be no need for redundancies”. A virtual freeze on net new public service hirings would slow the ACT’s economy dramatically, while allowing the real estate market to come back into balance putting downward pressure on rents and house prices. Mr Tanner has also been given the task of running the razor gang promised by the Labor leader should he win office, cutting deeper into what Mr Rudd described yesterday as a “bloated” public service administration. Other programs to be axed by Labor include continuing work on the government’s stalled Access Card (saving $933 million) the “bloated WorkChoices bureaucracy" saving $258 million. Labor’s plan to increase funding for the tax office by $179 million over four years in order to gather an extra $740 million largely from large businesses and high wealth individuals received a partial tick from the Department of Finance late yesterday. It costed the payoff at $708 million. Labor has now submitted all of its $10 billion in planned savings to the Finance Department for costing, although many may have arrived too late. It says on its website that it only guarantees to cost proposals received by 5.30pm last Thursday. At the start of the campaign Mr Tanner pledged that all of Labor’s spending promises would be completely offset by savings to be revealed during the last week of the campaign. He stressed that the pledge did not apply to Labor’s tens of billions of tax promises. Asked by the Canberra Times last night whether he had in fact been able to fully offset all of Labor’s spending promises he paused and replied, “no further comment”. Labor’s $10 billion in promised savings covering about $12 billion of spending contrasts with the Coalition’s $12 billion of spending promises most of which are not offset. New car sales have accelerated and mobile phone sales have gone into overdrive adding weight to Reserve Bank warnings that interest rates may need to climb further in the months ahead. The official sales figures released yesterday also suggest that we are paying scant regard to higher petrol prices, boosting our purchases of gas-guzzling sports utility vehicles for five successive months to an all-time high last month of 18,330. Sales in the ACT grew at one of the fastest rates in the nation, up 17 per cent, led by an explosion in sales of SUVs which were up 50 per cent over the year. Canberra dealers sold around 300 SUVs in the month of October, more than ever before. The equities economist at CommSec Martin Arnold said the surge appeared to indicate that SUVs were the new must-have item. “Just life the ubiquitous iPod, everyone seems to want one,” he said. The lower car prices are bad news for Australian manufacturers whose share of new car sales fell to 17 per cent in October from 21 per cent a year ago. New mobile phone shipments also climbed to a new high in October, with an extraordinary 1.5 million phones shipped into the country in just one monht. Figures compiled by the Mobile Telecommunications Association suggest that more than 9 million mobile phones have arrived in the country since last October, roughly one for each Australian household. The figures relate to “aggregate industry mobile shipments” rather than sales, but indicate the extent to which stores are stocking up on handsets in anticipation of Christmas sales. The latest Westpac-Melbourne Institute leading index of economic activity also released yesterday adds weight to signs of a spending splurge. The index is now growing at an annualised rate of more than 5 per cent, suggesting that GDP growth may exceed the Reserve Bank’s speed limit, believed to be around 4 per cent, in the year ahead. * He committed to give a press conference after every Cabinet meeting. * "When I talk about a razor gang, I am dead serious. It's probably not the right place or town to talk about it. I am not talking about a reduction in services, but I am talking about a reduction in the administrative expenses of departments." * "We have a panel of 6 or 7 business advisors ready to roll." * "Whoever wins this on election on Saturday will win by a nose. This is tighter, tougher and nastier than many people in this room think." * "If ministerial staff have exercised executive responsibilities, they should be accountable to parliamentary committees." * "This will horrify senior public servants and many future ministers but I want to hold Cabinet meetings outside of Canberra on a monthly basis. I want to see the West, aboriginal communities..."
* "I want the mandatory renewable energy target in place by the end of the year. * "I want the Council of Australian Governments convened within the first 100 days, we have to sort out accident and emergency, critical hospital care. If not we will move on taking over over the funding of hospitals..."
Okay, so the questions weren't that clever. But that's how it went. SPIN DOCTOR: Howard's ultimate promise - not to govern. The Prime Minister, the Treasurer and the Workplace Relations Minister all yesterday condemned Labor’s plans to rollback WorkChoices while at the same time guaranteeing that they would not extend it. “There will be no further changes to the industrial relations legislation. There is no second wave. We have nothing in the drawer,” the Prime Minister declared. In order to get reelected the Prime Minister is prepared to promise policy paralysis – an industrial relations system on autopilot. He shouldn’t be. Promising never to touch a new system that it still being run in is an abdication of responsibility. The Workplace Authority says 26,833 workplace agreements have been failed or sent back for changes since May and that it has a backlog of 142,000 agreements awaiting checking. Frustrated by the process and deprived of the ability to use workplace agreements to cut wages bills, employers have begun to turn back to enterprise agreements. This probably isn’t what the government had in mind when it introduced WorkChoices. The system probably does need a further shakeup, or at least fine-tuning, an option the Prime Minister has forsaken. He said yesterday that the documents being sought by the Seven Network relate “entirely to the discussions in 2005 which led to the laws which are now in force”. But other documents, reported in the Canberra Times in June this year indicate that well after the government’s partial rollback of WorkChoices in May it was considering rolling it forward once again.
. boosting the coverage of AWAs from 5 per cent to 20 per cent of all employees. The economic consultant has reported, but despite repeated requests the Workplace Relations Minister has refused to release the research ahead of the election claiming that Australians are “all researched out”. Was the government planning to extend WorkChoices? Leaked to the Labor Party, the document called for the contracted work to start on 14 May and finish on 13 July 2007. THE Government has succeeded in keeping secret hundreds of pages of documents that canvass options for another wave of industrial relations reform. However, a 2 1/2-year freedom-of-information battle with the Prime Minister's department has failed to secure the release of details of the plans. In 2005 the department blocked the release of dozens of documents that showed how WorkChoices was formulated, and which discussed options for more reform. The Government used "conclusive certificates" to reject the FoI application, saying it was not in the public interest for the documents to be exposed. But the Seven network's freedom-of-information editor, Michael Mckinnon, appealed against that decision, and yesterday lost on the grounds that the Government should not have to explain "options initially considered but later discounted". The Government argued that the documents' release "would lead to speculation about possible future workplace relations reforms which are not Government policy". Don’t for one minute swallow the line that the incoming Labor government isn't ready because it knows nothing about economics or management. It is far better qualified than the government it will replace. A quick check of the parliamentary website reveals that eight of the incoming Labor ministers have degrees in economics. One of them, Craig Emerson, has a PhD in the subject. By contrast only three Coalition ministers have economics degrees. Several, including the Deputy Prime Minister, have no academic qualifications whatsoever. Experience helps as well. Until shortly before entering parliament Kevin Rudd was Director General of the Queensland Cabinet Office. He has had an impressive record in government administration, more than has any other Labor leader elected to office in living memory. With only five days to go until the change of government, its worthwhile examining what we’re about to see. The campaign suggests it’ll be discipline. Kevin Rudd has grabbed the right to appoint his own ministers, dispensing with the party room’s messy history of democracy and factional deals. Anyone who speaks out of turn without having their statements cleared through a central office will get slapped down. We saw it time and time again during the campaign as Peter Garrett and Mike Kelly discovered to their cost. Ask a Labor shadow minister to interpret one of his or her own policies and the shadow will defer, saying that everything, even if not obviously related to expenditure, has to be cleared through a central Expenditure Review Committee. But discipline won’t mean inaction. The policy details submitted to the Treasury for costing suggest we are in for an extraordinary burst of activity. The new government will close Australia’s offshore detention centres on Nauru and Manus Island on January 1. It’ll cost $3 million to decommission them and save $27 million each year. Also from January 1 it’ll slash the budget of the National Capital Authority (to stop its “heavy-handed interventions” in our affairs), it’ll take away one staff member from every Senator and MP and begin installing solar panels in 9,600 Australian schools. The solar panels idea is one of Labor’s silliest. As a means of directing money to education it is poor value – solar cells are an expensive means of powering schools, and as a means of fighting climate change it is tokenistic. If the spread of solar panels is really a good idea, why limit it to schools? One of the justifications for the program is among Labor’s most stupid: “the generation of jobs”. As anyone who has tried to get a solar panel or heater installed knows, suppliers are run off their feet. The last thing they need is more work. The head of the Treasury Ken Henry had it right when he slagged this sort of talk in March. Other Labor schemes are similarly silly. Most Australians who want broadband can already get it, yet one of Labor’s biggest spending items will be $4.7 billion sunk into a new broadband network to duplicate those services. Wayne Swan’s claim that this would bring on “productivity gains of up to $30 billion per year” was embarrassing and indefensible. Perhaps tellingly, in the seven months since the Canberra Times exposed the flawed nature of that calculation Labor has been unable to come up with another. The Education Tax Rebate is another idea owing more to symbolism than filling a need. It is essentially a tax cut dressed up as a means of getting laptops to children. The children most in need of help won’t get laptops as a result of the program – their parents still won’t be able to afford them. The parents who can afford them and most likely already buy computing equipment will simply pocket the refund cheque. Labor’s tax cuts are promises it may wish it had never made. Early next week the heads of the Treasury and the Reserve Bank are likely to tell it that with things the way they are every extra tax cut will feed into spending and put extra pressure on inflation. Unless Labor wants three more years of rate hikes taking mortgage rates heaven knows how high it’ll be wise to scale back, postpone or find some way of turning its three years of promised tax cuts into something else. Other Labor commitments look more promising. Intending first homebuyers will be offered tax breaks on savings that are locked away for four years. It is a better way of helping them than grants that would simply push up the price of a fairly fixed stock of housing. Delaying their spending for four years should give the industry time to build houses before they are needed slowing the rate at which prices rise. Appointing a minister for housing is another good idea. The problems aren’t easy to solve but Labor’s summit in parliament House was a good start. Labor’s commitment to get each student in years 9 to 12 a classroom computer will probably do no harm either. It certainly won’t be money largely wasted, as will be the money spent on education tax credits and the duplication of broadband. Much of Labor’s program is very similar to the Coalition’s, including interestingly the two alleged key points of difference – climate change and industrial relations. What will be important in implementing the differences that do exist will be an understanding of economics and public administration, something Labor appears to have in spades. Behind the scenes Labor frontbenchers including Wayne Swan and Lindsay Tanner have already been discussing the implementation of their commitments with their future departmental heads Ken Henry and Ian Watt. They are allowed such meetings under rules designed to ensure a “smooth transition”. Kevin Rudd told the Financial Review on Monday that all of the existing departmental heads would keep their jobs, at least until their contracts expired. He said he wanted “absolute minimum change, because if we are elected I don't want a bureaucracy so internally preoccupied that it would be incapable of acting early on the implementation of the government's program”. Part of that program will be a razor gang overseen by Lindsay Tanner to remove “bloating” in the public service. Few in Canberra doubt that it is time for one, and few believe that the present government has made any serious attempt to restrain its spending as the minerals boom has showered it with wealth. Labor’s policies are not all good ones. But it is very well equipped to govern. Even the incoming union bogyman Bill Shorten has an MBA. IT'S probably not possible to estimate with any accuracy the effect that Work Choices has had on employment, productivity, economic growth, inflation or anything else over the 20 months of its existence. But that hasn't stopped a few sympathetic economists from making dodgy calculations, nor employer groups and Liberal politicians from using and misusing those guesses. ...and subsequently quoted with great approval by the Government and used in the business coalition's TV ads. Now John Howard is quoting a professor of economics, Richard Blandy, as having estimated that Labor's plan to abolish Work Choices would destroy between 200,000 and 400,000 jobs. As is all too usual, Mr Howard is misquoting Professor Blandy's findings. His econometrics estimated that Work Choices was responsible for about 290,000 of the new jobs created since it was introduced in March last year. See the misrepresentation? Saying that Work Choices has been responsible for creating that many jobs isn't the same as saying its abolition would destroy that many jobs. To give him his due, Professor Blandy acknowledged this misrepresentation when queried by Peter Martin of The Canberra Times. "If it does have an effect, I would expect the unwind to happen much more slowly," the professor said. "Partly because employers will have found out what these people who they have hired are like. They're not necessarily going to give them the bullet." He could have added that Labor wouldn't actually "abolish" Work Choices anyway. It is planning to retain a fair bit of it, particularly its anti-union measures. It would, however, restore a streamlined version of the unfair dismissal law for firms employing fewer than 100 workers. But now a couple of economists have questioned the method Professor Blandy used to achieve his guestimate of the number of jobs created by Work Choices. It's obvious there has been very strong growth in employment - particularly full-time employment - since Work Choices was introduced, but some of that would have occurred anyway (because the economy was growing) and you'd expect a lot of growth to have been caused by the direct and indirect effects of the resources boom. In Professor Blandy's regression analysis, he attempted to account for the influence of the resources boom by using the "proxy" (substitute) of the change in the trade-weighted exchange rate. Since the exchange rate didn't change much over the period he examined, he concluded the resources boom had made little contribution to jobs growth - only about 38,000 since March last year. But Mark Wooden, a professor of labour economics at the Melbourne Institute, has been reported as commenting that this was "a brave assumption". A more reasonable assumption would have been that the exchange rate obviously didn't capture the effect of the resources boom. Professor Blandy sought to capture the effect of Work Choices by adding a "dummy variable" to his regression from March 2006 onwards. This means the dummy variable will pick up the effect of all the factors that contribute to employment growth apart from the trend growth in the economy (said to account for about 12,000 extra jobs a month) and the small number of jobs attributed to the resources boom. Professor Pagan comments that "no matter what the effect of Work Choices is, one will find that the amount attributed to it by Blandy's regression will be very close to the average of the employment change after its introduction. "This is simply an artefact of the way in which the analysis is done and has no causal significance whatever," Professor Pagan says. It's clear that some other factor or factors - call it factor X - caused the big rise in employment occurring before Work Choices was introduced. If factor X was still operating after March last year then the way Professor Blandy did his regression means its effect would be attributed to Work Choices. "Unless an attempt is made to control for X, there can be no confidence that Work Choices has had any effect," Professor Pagan says. To emphasise the foolishness of this, Professor Pagan replaced the Work Choices dummy with a Rudd dummy from the time Kevin Rudd became Opposition leader in December last year. Using Professor Blandy's slipshod methodology, he found that Mr Rudd's appointment created 10 per cent more jobs than Work Choices was supposed to have. Economists who misuse econometrics - and whose conclusions are then quoted to score ideological points - bring their profession into disrepute. Their more scrupulous colleagues need to hold them to account. Kevin Rudd has squibbed on a promise to appear on the Insiders this morning. Instead he'll subject himself to scrutiny on the Rove McManus show tonight. It's fitting, in a number of ways. One is that if it wasn't for Rove Kevin Rudd might not be where is today. Around this time last year Kim Beazley gaffed at a press conference by referring to him as "Karl Rove" – the name of a US political strategist. Painted as out of touch and accident prone, he was knifed within weeks. logo, the KFC logo and so on. screen for a full 25th of a second, and many people did. far too short to be "seen". they had been flashed with. and also said they would be prepared to pay more to buy the drink. Howard's background on the day interest rates rose). too. Rove's cool. Barry Cassidy isn't. Saturday Forum: So, how do the economic policies of the parties differ? At last! Labor and the Coalition broke ranks on economic policy this week after four weeks of aping each other dollar for dollar, platitude for platitude. But the newly discovered difference between them on election spending shouldn’t blind us to their more important shared vision. It’s not only theirs. From Britain to New Zealand to Canada to the United States the entire English-speaking developed world has discovered what Kevin Rudd refers to as economic conservatism. It needn’t go as far as Australia has done in cutting public debt to zero (just as private companies find it wise to have some debt, many governments do too) and it needn’t go as far as Australia has done in encouraging wage setting via individual contracts (even the US allows workers to insist on a workplace collective agreement where the majority of a workplace wants it). Labor and the Coalition support every part of the anglo-consensus. Since becoming Labor leader Kevin Rudd has said many times that his fiscal policy “mirrors” that of the Coalition. He said once that there was “no sliver of light between them” which his office mistranscribed as “slither”. The parties do differ on industrial relations, but not enough to push either outside the anglo-consensus. The Coalition has promised to retain Australian Workplace Agreements, although in a form that will make them less attractive than they had been to employers. When WorkChoices was first introduced in March 2006 it allowed employers to use AWAs to cut costs by removing previously-existing working conditions such as overtime and penalty rates without compensation. The new Fairness Test applied from May this year no longer makes that possible for workers earning less than $75,000. Labor has promised to abolish AWAs, with transitional provisions for the nine per cent of workers already on them. They would have their conditions determined instead by workplace collective agreements or would have to go out right outside the industrial relations system and use common law contracts. The economic effect of the change is hotly debated. The Coalition says it would lead to inflation because pay rises in one workplace would spread to another, as used to happen in the days of centralised wage fixing. But Labor insists that wouldn’t happen because wage-fixing would remain decentralised at the workplace level. Labour market economists are uneasy about Labor’s assurance because of two unexplained lines in its policy. “Multi-employer collective bargaining” is a new and term in Australia’s industrial language. On its face it does open the door for a return to centralised wage fixing, as the Coalition charges. The other contentious line in Labor’s policy says that “where more than one employer and their employees or unions with coverage in the workplaces voluntarily agree to collectively bargain together for a single agreement they will be free to do so”. Labor replies that when in government it was the party that moved Australia away from centralised bargaining (with the conspicuous support of the Coalition’s John Howard) - a change it would not want to undo. But that doesn’t necessarily mean that the Bank is worried about what Labor is proposing. At parliamentary hearings its Governor has resisted repeated invitations to say so. Labor’s policy is likely to result in higher wage settlements than the Coalition’s. That is because workers have more bargaining power and can share information when they can bargain as a group. But higher wages needn’t mean higher inflation if they are offset by increased productivity, something that enterprise bargaining has been good at achieving. Labor has also promised to reinstate protection from unfair dismissal, at present denied to workers in firms employing fewer than 100 people. But protection would be limited to employees who had served a qualifying period. The Coalition says that this would make employers less likely to take workers on, but it is hard to find evidence either way. 237,300 jobs were created in the financial year following the introduction of WorkChoices, an improvement on the 224,700 jobs created in the previous financial year, and a decline on the 355,500 created the year before. Again, what is noteworthy about industrial relations is how much of the Howard Government’s changes Labor intends to keep. Kevin Rudd will retain the national system set up against the wishes of the states and will continue to ban strikes not approved by a secret ballot. Labor’s conversion to spending restraint, announced at its policy launch, is symbolic. Before saying “Unlike Mr Howard, I don’t stand before you with a bag full of irresponsible promises that could put upward pressure on inflation” Kevin Rudd had promised about $50 billion. But the symbolism may be important, as may be his announcement of a Razor Gang to trim the public service. Mr Rudd has acknowledged that boosting government spending can feed inflation and can force the Reserve Bank to push up interest rates. Remarkably during the election spendathon, the normally sober team of John Howard and Peter Costello have not. "I mean, you know, to have an unelected individual who is a statutory office holder, making a decision on the release of a report like this and the timing like that, maybe that shouldn’t, that needs to be looked at. And maybe that’s something that the next Government of Australia should have a look at." Approving grants, some at 3.26pm, one at 3.27pm, one at 3.28pm... in the last desperate minutes before the issuing of writs for the 2004 election. Whiteboard Two: "Venal, lazy, and verging on unlawful"
The Prime Minister says the election is about competence, taking the “right decisions” in the interests of Australia. The Australian National Audit Office has examined the competence of his ministers in taking the right decisions and found it wanting. Over 1,200 pages the Office paints a picture of ministers keen to approve projects in Coalition electorates regardless of the advice of their officials and so sloppy in the way they went about it that they often didn’t even bother to record the basis of their decisions. It takes the trouble to remind Howard ministers including his deputy Mark Vaile and his former deputy John Anderson that when they are approving grants “they are approving the expenditure of public money”. 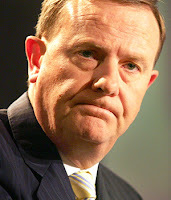 John Howard’s anointed successor Peter Costello made his name in the early 1990’s destroying the parliamentary career of the Labor Member for Canberra Ros Kelly after she was implicated by the Audit Office in the whiteboard affair. Her crime had been to use a whiteboard (which she later erased) to “shovel funds to marginal Labor electorates prior to the March 1993 election”. She dished out $60 million. The Regional Partnership Program directed by Peter Costello’s colleagues didn’t even use a whiteboard. The Audit Office finds that many of the reasons for its grants weren’t documented at all. It shelled out $350 million. The culture that allowed it to happen appears to pervade the Howard government. Early this year when the Prime Minister allocated $10 billion to a water package without consulting his cabinet the Finance Minister Nick Minchin defended his behaviour saying it was only “one billion a year, which is less than half a per cent of Commonwealth government expenditure, let’s keep it in perspective”. And as the Coalition’s spending promises in the current election have grown so big that on Treasury forecasts they threaten to deny it the budget surplus it has promised to maintain the Prime Minister hinted this week that it didn’t matter. “What a lot of people have overlooked is the projected surplus in future fiscal years is likely to be higher than what's projected,” he told the Australian Financial Review. The Coalition looks poorly placed to win an election about competence. Government figures including the Deputy Prime Minister have become embroiled in a reprise of the so-called "sports rorts" affair that helped bring down the Keating Labor government in the mid-1990s.
. in an extraordinary burst of activity between 3.25pm and 4.16pm on the day the government went into caretaker mode in 2004 approved 16 grant applications, two of which their officials had knocked back. The Audit Office examined around 278 of the 1,372 grant applications considered by the ministers during the first three years of the scheme from July 2003 to June 2006. Among the projects that it found had been fully funded by the ministers against the expressed wishes of their officials were a synthetic bowling green in the marginal Tasmanian Liberal Party seat of Bass and an ethanol refinery in NSW National Party seat of Parkes that received $1 million three years ago but has yet to be built. The Audit Office found that the ministers were more likely to overturn recommendations to reject applications “in electorates held by the Liberal and National Parties”. Conversely the government ministers were more likely to overturn recommendations to approve applications “in electorates held by the Labor Party”. The report reminded ministers that they were “expected to discharge their responsibilities in accordance with wide considerations of public interest and without regard to considerations of a party political nature”. It stressed that ministers, like officials, were required to make decisions on sound grounds, after making proper inquiries and to document the reasons for their decisions. It found that the program had “fallen short of an acceptable standard of public administration”. Campaign in Mackay in Queensland the Labor leader Kevin Rudd said the report was “an indictment of a government which has become arrogant and out of touch in its use and abuse of taxpayer funds”. The Prime Minister Mr Howard said he had not seen the report, an advanced copy of which was delivered to the Department of Transport and Regional Services in September. You are imputing a knowledge that I don’t have,” he told reporters in Cairns. “It came out only a short time ago and I’ve been engaged on other matters”. However he said that as “a gentle point without claiming any great knowledge of the auditor general’s report” the overwhelming bulk of regional seats were held by the Coalition. The Deputy Prime Minister and National Party Leader Mark Vaile, one of the Ministers named in the report, is due to announce a grant under the scheme in Queensland today. He said yesterday that his former department, Transport and Regional Services had accepted all of the 19 recommendations in the report. But he said he “would not apologise for the success of the program in leveraging investment outside the major capital cities”. Howard's lament: "Don't wish too hard..."
"For Labor, Fairness is in our DNA"
Quick Quiz: What's wrong with this graph? Go for Growth is gone! Kohler: Why not 0.50 per cent?